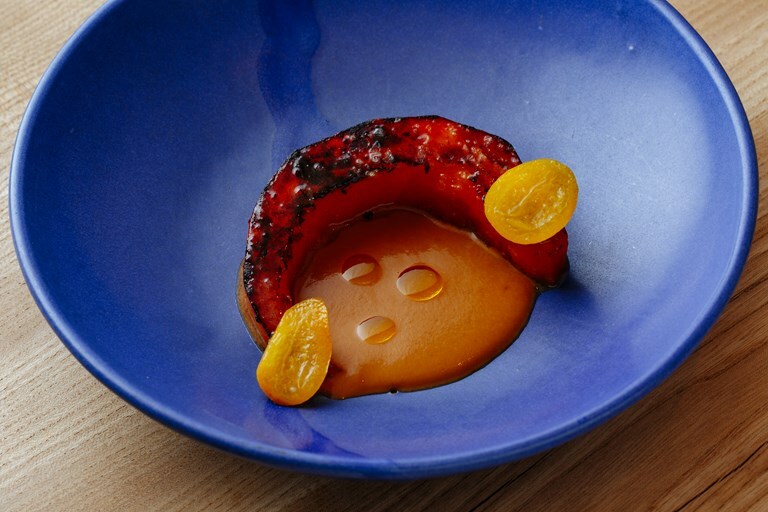 Jeremy Chan’s celebration of autumnal pumpkin and squash may look simple on the surface, but it is anything but. He pairs sweet pumpkin and honey butter with an earthy groundnut sauce – typical of West Africa – made with peanuts and spices and infused with a mushroom dashi. The finishing touch comes in the form of two pickled kumquats, which cut through the richness with a burst of acidity.